Material, Creation, Robbery and Remains...? Amber developed more than 50 million years ago from the resin of giant needle forests, which were flooded later on by the Baltic Sea. The resin of the Amber Pine flowed for thousands of generations into the ground forming a layer together with other dead plants, which has been conserved for millions of years. Storms recover these layers and bring the Amber to shore. Ocean currents and conditions of the ground formed large deposits of Amber, like for example in the Samland, where Amber is not only being collected at the beach, but also dug out of the ground. Like with coal, large layers of sand are removed to get access to the burried Amber. The largest occurences are at the Baltic Sea, but also in the Dominican Republic, in Central America, Africa, Greece and even inside some countries. The layers below coal offer the best chances of finding Amber. People very soon were attracted to the coloured and lightweight stones. By mixture of different resins and other materials, nature has developed Amber in many different colours. There is white, yellow, red and brown Amber and more seldom even black, green and blue Amber. There are also differences in transparency reaching from clear to dim. Amber also exists in many different sizes starting from very small taken by tourists as souveniers to large Amber parts weighing several pounds. The Amber collection of Königsberg included a stone of the size of a head, the Polish Amber Museum in Marlbork had one of similar size and about 15 years ago, one found 24 Amber stones of 6 pounds each near the fisher village Svetoja and delivered them to the Amber museum in Palanga. The Amber museum in Ribnitz-Damgarten is a proud owner of a piece with 22 ounces and a private collector on the island of Rügen owns a piece weighing 36 ounces. The largest piece ever found is owned by the Berlin Museum of Nature. Its weight is about 22 pounds and it is in raw condition, which is why many visitors to the museum do not even pay enough attention ot it. Not only its colour but also something else remains hidden to the visitor. Of particular noteworthiness are so-called "inclusions". Parts of trees, feathers, leaves, flowers, insects or lizards have been covered and conserved by the resin. The smallest inclusions are hardly recognizable to the eye. Among 650 known species of included animals are snails, spiders and scorpions. 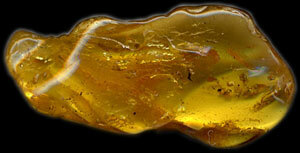 6000 kind of insects have been found in Amber. Starting from flees up to a lizard found in the Dominican Republic measuring 3 inches. Phonecians, Greek, Romans, Vikings, Germans, Baltics and Slavic peoples considered Amber to be "tears of the sun" or "urin of the gods". Later, it was thought to be petrified honey or hardened oil. It is not known exactly if Romans or Russians were the first to identify Amber as hardened resin. Anyway, Amber was very pupular because of its golden shine, its rare occurence and also its softness. Amber has been used as artistic material, as money and as exchange material and until the 18. century even as medicine. One mixed it with oil and creme or wore a piece as a necklace protecting one against bad spirits and illness. Amber was said to heal because of a physical condition. Amber becomes magnetic, if one rubs it against the clothes, which was considered to be "supernatural". Commercial dealers and Kings soon placed the searching for and selling of Amber under a law. The people living near the shores were obligated to collect and to deliver Amber and the reeves had to watch over that. The requested quantities have been so enormous, that women, children and elderly had to go to the beach daily under all weather conditions in order to fullfill the goal. If someone did not comply, bad punishment was the rule. Selling Amber has been punishable by death. Later on, German knights took over the Amber monopoly, leasing it to the so-called "Amber-Knights-Order", which forced the people on the coast to collect. Fishermen were offered salt in exchange and since they needed much salt, they collected as much Amber as they could and collecting it was a part of their daily life. The most valuable pieces of Amber have been reserved for the knights using it to create artwork. Their workshops have been in Königsberg and Danzig. Cutting Amber became a credited profession in the 17. century. The largest examples of Amber furniture were created during that time. 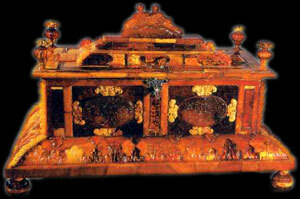 Amber was cut in slices and glued on wooden boards, which were called "Incrustation". In the 18. Century one created furnitures as royel gifts. Kurfürst Friedrich August I. of Saxony (also called "August the Mighty") had received an Amber furniture as a gift, which is exhibited today in the "Green Cave" in Dresden. Also the Prussian King Friedrich Wilhelm received an Amber furniture as a wedding gift, which was bought in the 80s by a museum in Nürnberg, Germany. And the Kurfürst of Brandenburg ordered in 1701 the creation of a giant Amber altar, which was given to the Kapuziner-Kloster in Wien to thank them for their support in becoming a candiddate for the Prussian Kingsmanship. When Friedrich I. spent several months in Königsberg during his crowning, he got to like Amber art and came up with the idea, to have a unique Amber artwork created for himself. This thought possibly was influenced by the fact that the long existing Amber depots were still filled with the most exclusive stones and that gaining Amber at the Baltic Sea was supposed to increase due to the fact of using mining methods. In 1701 he gave the order to the Dänish Amber master Gottfried Wolffram to create a giant Amber wall cover for a galery of the castle in Berlin- Charlottenburg. 1707, when most of the Amber wall cover was finished already, the task had been transfered to the Amber masters Ernst Schacht and Gottfried Turow from Danzig. The Amber wall cover had been used before 1712 to cover a room in the Berlin city castle. Zar Peter I. is said to have admired the room, when he visited Friedrich I. in 1712 on the way to his troups in Pommern to try to convince Friedrich to fight with him against the Swedish. When Friedrich I. died in 1715, his 25-year-old son Friedrich Wilhelm I. got to reign, who compared to his father was not an art lover. With the help of the wealth of his father with waning support for art and science and through his unscrupelous taking advantage of the population, he created an armee double the size of his fathers. He got the nickname "Soldier King". One of the first pieces of art being sold to emphasize the military was the Amber Room. When Friedrich Wilhelm I. visited Zar Peter I. in 1717 to convince him to work together getting rid of the Swedish in Vorpommern, he was reminded of the great interest, that Peter I. had in the Amber Room. And when the alliance Prussia-Russia finally was set up, Peter I. informed his wife in a letter of January 17, 1717 that he had received an Amber artwork as a gift. The Amber Room has been shipped on the ocean as a royal gift packed in 18 large boxes. First it got to Memel (Klaipeda) and from there in April 1717 with the help of 18 horse trecks to Petersburg. The Amber Room was installed in the so called Winterhaus as a part of the art collection of Russian and Westeuropean artists. 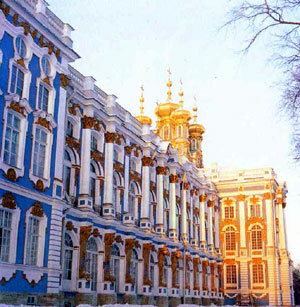 In 1822/23 it was mounted in the Winter Palais in Petersburg. In 1755, when this building had to be replaced by a new Winter Palace built by Bartolomeo Francesco Rastrelli (1700-1771), Zarin Elisabeth gave the order to bring the Amber Room to Zarskoje Selo in order to use it to decorate the Summer Palace of the Zar. It was the so-called Catharine Palace where Rastrelli created a room of extraordinary beauty. The original Amber Room had 10 socket pieces each about 3 feet tall and as wide as the corresponding wall pieces. There have been 12 wall pieces each 13 feet tall resulting in a total height of 16 feet. The width of the wall and socket pieces was between 3 feet and 5 feet. If put together, it was enough to cover a wall of 50 feet in length and 16 feet in height. The room in the Winter Palais in Zarskoje Selo was much larger. It measured 33 feet by 33 feet equaling 196 feet total wall length. Also, the room was 20 feet tall and the wall cover only 16 feet tall. Rastrelli and his team therefor added aditional pieces to the room in such an artistic style that a stay in the room was considered to be the highest pleasure and Catharine II. had chosen it as her favourite room. Rastrelli ordered 24 large mirrors in Venice, of which 2 each bordered the 12 Amber panels. The socket pieces of the mirrors have been created out of Amber as well. The Amber Room had 3 doors. Above the main door, there was a Supraporte out of Amber and above the other 2 doors, the Supraportes have been wooden and covered with gold. The white doors had also golden wooden decorations. The floor was parquet using finest materials. A beautiful painting covered the ceiling. The Amber Room existed in this final form from 1763 untill 1941 and only a few had the pleasure to be able to see it. The entire decoration of the Amber Room left a very warm inviting sensation to the visitor, no matter if under sunlight or artificial light. Most likely the Amber Room reminded one of marble, but without the cold impression of marble. The Amber Room was more precious than the most fancy wooden cover. When the daylight was shining through the wide windows, it replaced hundreds of lighting candles and created thousands of reflections in the mirrors. This connection of light and Amber gave the Amber Room in the Cathrine Palais its special appearance. This light made the multicoloured Amber walls shine more beautiful than gold and created a deeply lasting impression never forgotten by any visitor. On June 22, 1941 Hitler Germany invaded Russia. A giant machinery of war was started. The many organisations involved in the war also contained several units specialised in cultural and art treasures with many years of experience in looting. Their leaders, art scientists most of the time, had carefully planned the largest and most perfect plundering of Russia, just like the military divisions. 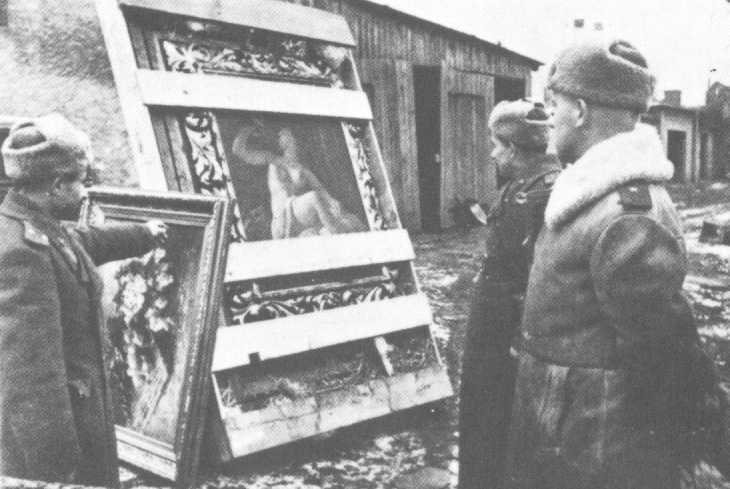 Even before the war started, all headquarters of the Wehrmacht had been focused on all valuable objects of art and culture to satisfy the needs of the Hitler regime. There is an existing list of the Heeresgruppe Nord of such objects, which were supposed to fall into the hands of the German empire. This list had been given out by the Oberkommando of the 18. Army to all their units on July 8, 1941. It contained 55 objects with the exact location of 17 museums, 17 archives and libraries and 6 churches. The Kloster Petseri (Petschur) was also on the list and the looted treasures of the church could be returned to their owners 30 years after the end of the war after a dramatic hunt in West Germany by the fruit farmer Georg Stein. Since July 20, 1941, Hitler was interested in the artwork to be found in Russia. In the fight for life or death, the Russian defenders did not have the chance to protect the countless treasures in the castles and museums near Leningrad. Every man and every method of transport was needed for defense. The countless palaces near Leningrad have been home to a giant amount of artwork. To remove them, not some single train wagons, but many complete trains would have been needed. For example Petrodworez (Peterhof) hosted 34,214 paintings, art works and sculptures as well as 11,700 most valuable books, when the German troups occupied the city. 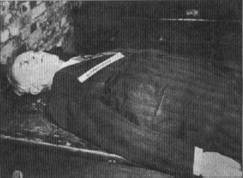 Only some of the most valuable items could be removed to the Eremitage in Leningrad and some others had been buried in the last minute. In Puschkin, some women packed 20,000 items in a fast manner and brought them to Leningrad in the cellars of the Isaak-Cathedral. Amoung them, some exhibition pieces of the Amber Room. 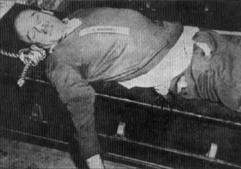 However, it was impossible for the women to demount the entire wall cover, which is why they installed tables infront of the wall cover and covered it with paper to prevent pieces from falling out in the event of bomb attacks. A huge amount of valuable art treasures still remained in the museum and depots when the Germans arrived in Puschkin. 1941 the SS Police Division continued its attack on the northern part of Puschkin. The Catharine-Palais had been occupied by the Wehrmacht with the XXVIII. Armee-Korps, the 16. Armee and the XXXXI. Tank-Korps as well as parts of the 96. and 121. Infantry Divisions. They used the valuable furniture from the l7. until 19. century to sit or sleep on. An eyewitness reports: "The castle was almost not damaged. Only one hit had caused some damage. The Russians could not finish evacuating all art work. Floors had been covered with sand and chinese porcelan vases had been filled with water. The Germans did not care about the furniture of the castle and you could see them sleeping with dirty boots on the valuable furniture. Finally I got to the Amber Room. Walls had been covered with thick paper. I saw two soldiers removing the paper from the wall. They uncovered shining Amber artwork, the frame of a picture. When they took their rifles to break souveniers out of the wall, I stopped them. The next day, the Amber Room looked more damaged. Much paper had been removed and pieces had been broken of." During this time already, members of art looting squads appeared to register some artwork, but could not start transporting them because they needed the permit of the Oberbefehlshaber of the 18. Army, which was not to happen during the heavy fighting. An important role was played by Nazigauleiter and Oberpräsident of East Prussia, Erich Koch as well as the director of the art collections of Königsberg, Dr. Alfred Rohde. In May 1933, Koch made the governement come up with a law to "protect Amber" which said that only natural Amber or a product of such could be called Amber. Dr. Rohde was not a Nazi and only belonged to the NS-Beamtenbund. 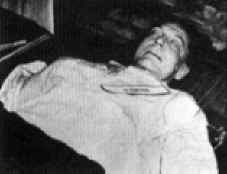 However, he still liked this development and in his publications he expressed his thanks to Nazi Erich Koch for his support of the Amber art. Rohde was the director of the art collections of Königsberg and secretary of the art club. A part of the art collection under his influence was the famous Amber collection of Königsberg. It contained, for example, Amber furniture, exhibited in the Amber Room from 1942 until 1944 in the castle of Königsberger. Rohde was considered to be the international Amber expert and he also knew of all other famous Amber artwork outside the collection under his influence. 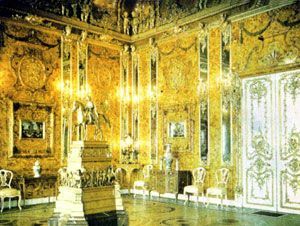 In 1941, Rhode mentioned in one of his books that Friedrich Wilhelm I. gave Peter the Great an Amber Room, displayed in Zarskoje Selo near Petersburg". work in the area of L. A. K."
the seized art work (also wall cover of the Amber Room from castle Puschkin) to K�nigsberg..."
Oct. 16 Rittmeister Dr. Graf Solms and Hauptmann Dr. Poensgen leave Stab Gen. Kdo. L. A. K.
The Amber Room together with the parquet and the doors had been removed and packed by the help and supervision of museum experts and art scientists in uniform. Thanks to the notice in the diary, the offenders are known. Also the "Wall cover of the Amber Room" was named, which shows the high ranking of the artwork for the Nazis. And the destination Königsberg was known already, when the Amber Room had been demounted. Even if the 50. Armeekorps knew the destination, the director of the museum for artwork in Frankfurt/Main, Dr. Ernst-Otto Graf zu Solms-Laubach stated until 1966 that he did not know it. 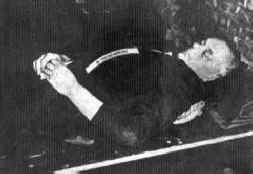 He only confirmed that he was responsible for the demounting and said under orders of Gauleiter Erich Koch, the boxes would have been opened in K�nigsberg. Koch was indeed involved in the Amber Room at this time already. He had offered his trucks to Wehrmachtsbefehlshaber from East Prussia, Generaloberst Küchler, helping the 18. Armee to bring amunition and other material to the front lines since June 1941. On the way back, this "Transport command Koch", brought looted goods to East Prussia. In September and October, these have been mainly art works from the museums near Leningrad. Fact is, the Amber Room was stolen with the destination Königsberg. 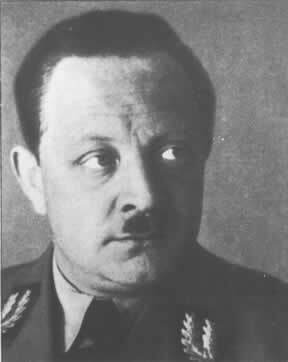 Dr. Alfred Rohdes hint to the looters under the command of Generaloberst Küchler was understood and finalized. Together with the Amber Room, which was packed in 27 boxes, much more artwork from the Catharine-Palais had been brought to Königsberg on 18 trucks, which is what he gleaned from the reports. After knowing the time and persons responsible for the looting, we have to find out about the person or command, which could decide about the looted art. Some publications about the Amber Room say that Generaloberst von Küchler would have would have given the Amber Room and other art work as a gift to Nazigauleiter Koch. Of course there is proofe that much artwork has been used for personal enrichment as well as for gifts to other Nazis. However, most of these items had been of lesser value and did not fall under the so-called "Führervorbehalt" (direct order of Hitler). One can be sure, that the Amber Room had fallen under the "Führervorbehalt". The Amber Room had been brought to Königsberg, because it was made there. This is why Dr. Rohde writes in one of his articles, that the Amber Room "returned to its true home, the only origin of the Amber". Rhode continues in his report that "the Amber Room had been given to the art collections of K�nigsberg by the Verwaltung der Staatlichen Schlösser und Gärten (Direktor Dr. Gall)". The director of the Staatlichen Schlösser und Gärten, Dr. phil. Ernst Gall did not answer any questions regarding the Amber Room until he died in Germany in 1958. What happened now after October 1941 with the Amber Room? The director of the museum of K�nigsberg Dr. Rohde intensively worked with it. The art work gave him the unique oportunity to find out which artist had made, repaired or restored any part during this time, because it was written down on the back of the wall covers. For a man like Rohde, whose whole life was filled with the exploration of Amber, the study of its parts was like a dream come true. Even before the Amber Room could be remounted in K�nigsberg, Rhode took some of the wall covers and exhibited them in the rooms of the art collection K�nigsberg. The local newspaper wrote a report on November 13, 1941 where it says that the Amber Room is an enrichment of world famous pieces for the art collection". In the mean time, people removed a wall in the third floor of the castle to create a room similar to the room in Puschkin. It was the room next to the Lovis-Corinth-Room with the number 37. However, the room in K�nigsberg was rectangular instead of square so they had to remove one wall cover of the two-oposite sides. Other changes occured because the parquet and some candle holders and other parts were missing. The Amber Room displayed by the Nazis in Königsberg was not the artwork of Puschkin anymore but it had not lost any of its original shine and mystery. When Rhode unpacked the Amber Room, he found that two of the three doors were missing. On January 13, 1942, he wrote a letter to major Pietschmann of the 18. Army asking him to remove the doors in Puschkin and deliver them to K�nigsberg. In the same month, they had been removed and Rhode revieved them a short time later. The the end of March 1942, the reconstruction was finished and the Amber Room opened for exhibit. Even the Berliner Newspaper had sent a journalist to report about the event, which was published on April 12, 1942 covering two pages. The Nazis always liked bragging about their success. 1. the statement of the inspector of the castle, Mr. Henkensiefken. He wrote a diary where it says that the Amber Room had been removed and packed after a fire in the castle in February 1944. It has been brought to the cellars where he saw it undamaged after the destruction of the castle in August 1944 when he had to write a report about the castles condition. 2. Eye witness Professor Dr. Gerhard Strauss, art historian in castle Königsberg. 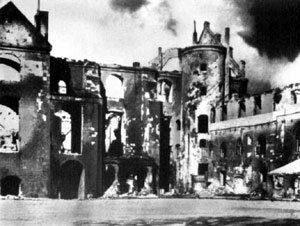 Professor Strauss wrote in the magazin "Freie Welt: "I came to the castle on the second day after the bomb attack of August 29, 1944 and met Dr. Rohde. He told me that the Amber Room in the cellars would have survived the attack. It was standing in boxes outside and Dr. Rohde just wanted to evacuate it to some rooms in the northern part of the castle. 3. Mrs. Amm would have never asked Dr. Rhode at first: "What happened to the Amber Room?" After the heavy bomb attack, she would have asked for the health of the family and her friend for sure. 4. Alfred Rhodes own statements. There were some letters left by him from the time of September 1944 until January 1945. In a letter of Dr. Rhode from September 2, 1944 he wrote: "please tell Director Mr. Gall that the Amber Room has not been damaged, except six socket parts." The art robbers of the Nazireich took their knowledge to the grave! Nevertheless, many works of art could be found and returned.